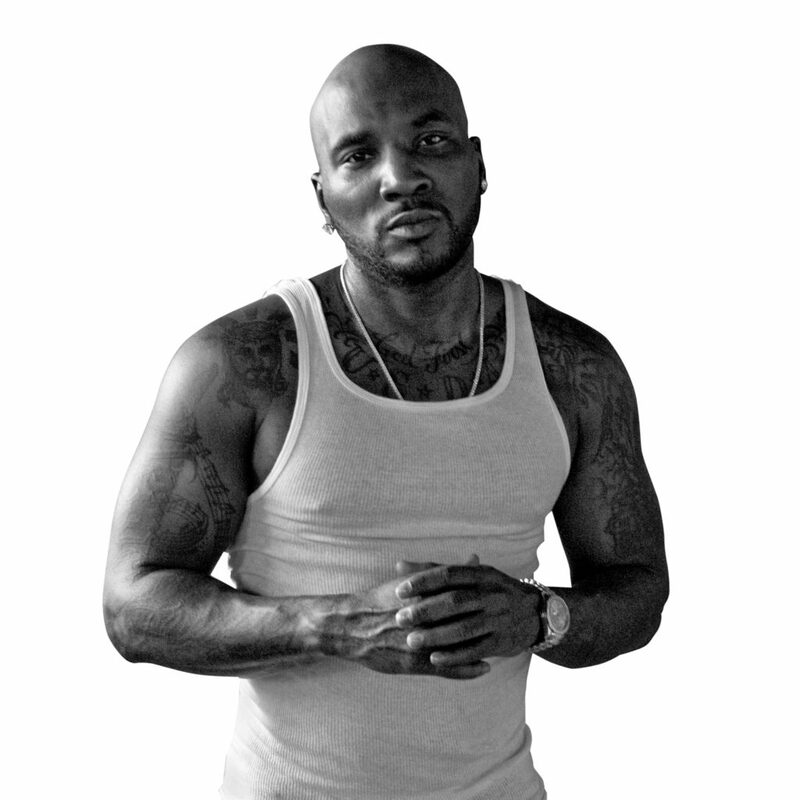 Jeezy emerged during an era when Southern rap took over the public’s perception of authentic rap culture. He was a hero of what was then called “regional rap,” which signified musical idioms and styles that weren’t birthed in a major label boardroom, but in the neighborhoods of Everytown, USA, and far from corporate influence. Amidst a widespread reassessment and debate over which forms of rap were truest to the art form, Jeezy stood out as a a man who seemed to truly labor in the trap, Southern slang for the impoverished working-class communities where street hustlers flourish. He performed many of his early shows at showcases and parties held by the notorious drug cartel BMF a.k.a. Black Mafia Family. He has a voice that’s wheezy and unpretentious, and his lyrics are short and to the point. He peppers his raps with adlibs that are widely copied and parodied: “Yeeeah!” “That’s riiight!” “Ha ha! Yeah!” When Kanye West collaborated with Jeezy on “Can’t Tell Me Nothing,” he simply used Jeezy’s adlibs as a signature for pure authenticity. They were all that West needed. For a few years, Jeezy’s Atlanta hometown bred the most influential rap scene in the country, and was a mainstay of nightclubs and the pop charts. Many of those hits featured Jeezy, including his “Soul Survivor” track with Akon, Usher’s “In This Club,” and Rihanna’s “Hard.” Today, however, Southern rap has receded from the pop landscape. Rising stars like Future may hold wide influence and even impact the album charts – his DS2 and Drake collaboration What A Time to Be Alive both debuted at number 1 this year. But the meaning of the word “trap” has been debased. Now, it’s a signifier for bass-heavy EDM, chirpy pop raps like Fetty Wap’s “Trap Queen,” and who knows what else. As a result, the 38-year-old Jeezy has become an elder statesman. Stylistically, he hasn’t changed much. Every album since Thug Motivation 101 largely sticks to his tales of bricks, bricks, and more bricks. He has occasionally shown political awareness, too, most notably on The Recession, a title inspired by the economic crash of 2008. It featured “My President is Black,” which honored Barack Obama’s 2008 presidential campaign. It may be just as well that Jeezy has stubbornly clung to his original “trapper” image while his personal life evolves. (Earlier this summer, he posted a photo of his son graduating from high school.) We may want our favorite artists to change, but we don’t always accept them when they do – witness the continued backlash over Jay Z’s shift from hustler rhymes to luxury rap. So Jeezy has chosen to stay in character, whether it resembles real life or not.